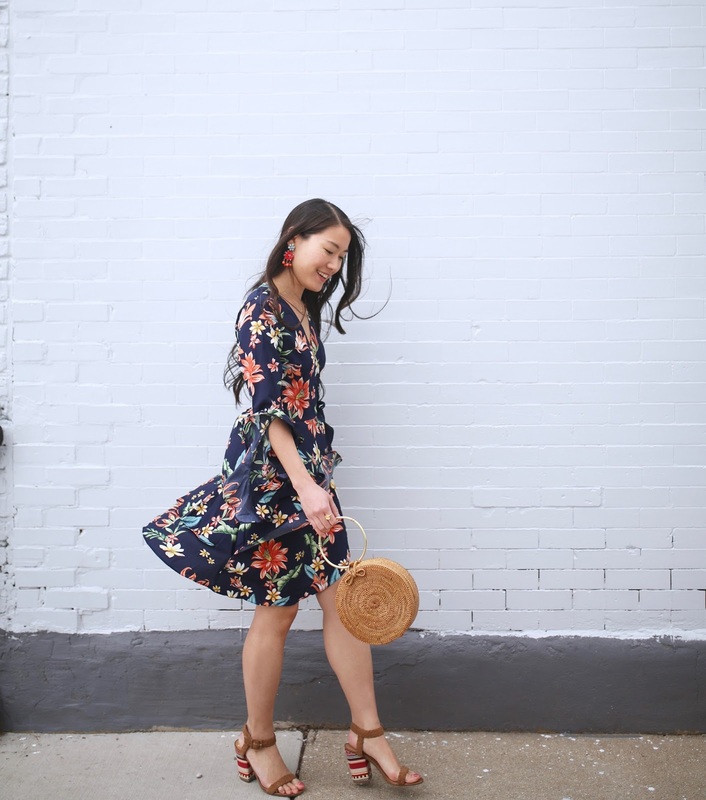 Springtime has me dreaming of florals and I'm always for ruffle details. Chicago got a quick glimpse of Spring this weekend with Spring showers and 50 degree weather. When the sun peeked out, I grabbed my new favorite Spring frock to wear for a walk around the neighborhood! I've been waiting so long for Spring/Summer dress weather! 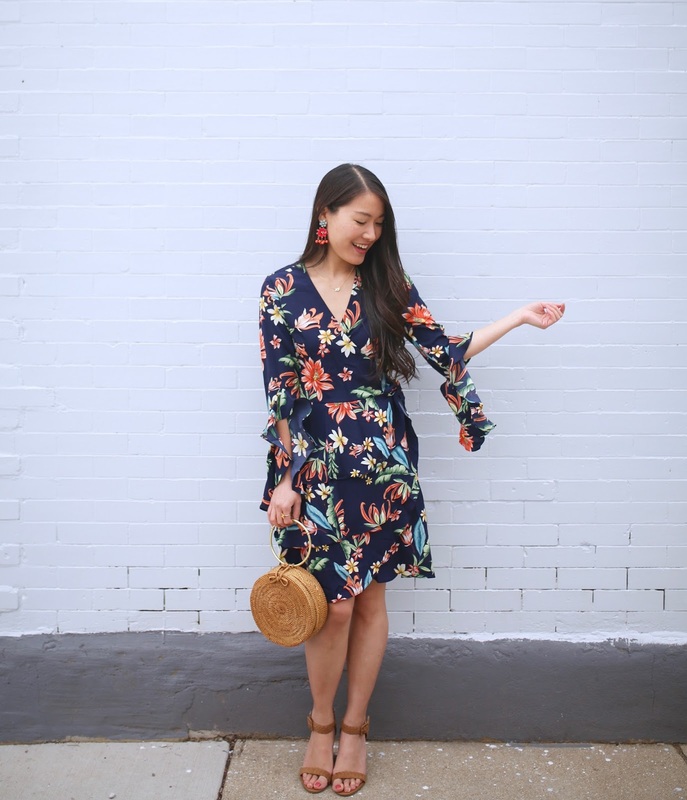 The dress is from Shein and it is the perfect transition piece from winter to Spring with its darker hues and longer sleeves. 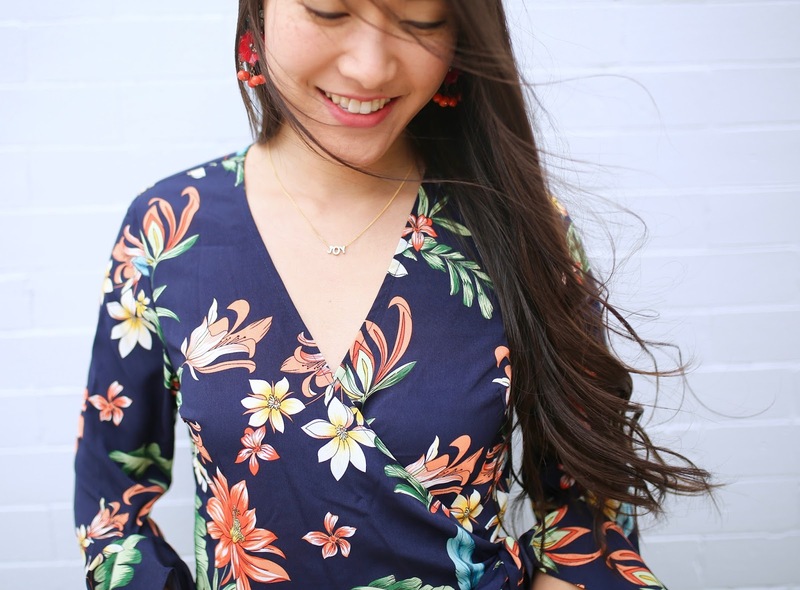 I'll be wearing this dress for weekend brunch, nights out, and vacation to warmer destinations. The best part is the price tag at $21! Your smile is so pretty just like this dress! This dress is everything! I love the print, the ruffles and the longer sleeves - it's perfection. What a pretty floral dress too. Fun print and sleeves. Your bag is lovely too. You are certainly ready for Spring! Great Shein find! 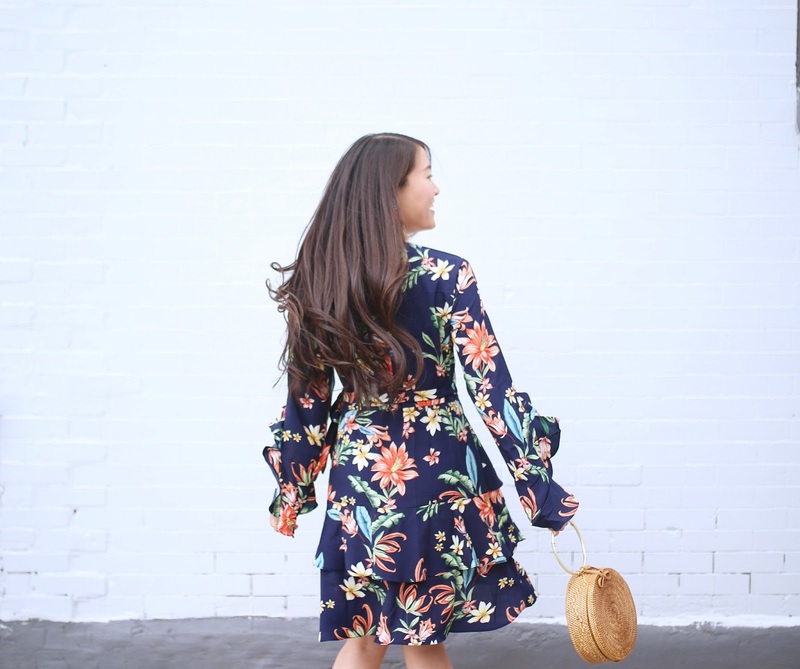 I love floral and ruffles and wrap dresses! I would definitely be twirling in this one, too! Love that floral dress and handbag!! !